In Balanced Achievement’s Quote 20 series, we explore 20 inspirational quotes about a particular topic or 20 memorable quotes said by a historically significant individual. 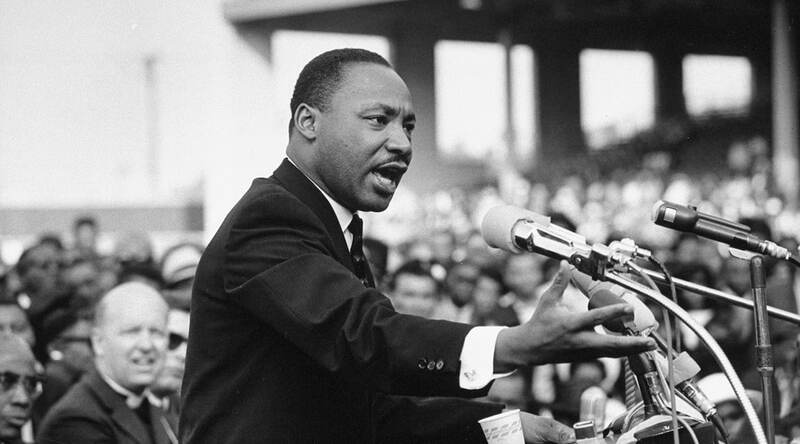 In this article, we turn our attention to looking at 20 Martin Luther King Jr. quotes that inspire inner nobility and virtuous action. Throughout American history there have only been two distinguished individuals, George Washington and Martin Luther King Jr., to have a federal holiday named in their honor. While the former led colonial Patriots to an improbable Revolutionary War victory before serving as the country’s first president, the latter played a monumental role in the civil rights movement of the 1950s and 60s. It was during these two decades when the eloquently impassioned Baptist minister from Alabama led his African-American brothers and sisters towards the mountain top of equal rights by emphasizing and embodying the wholesome qualities of non-violence, determination, compassion and love.